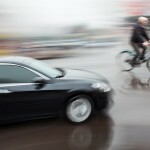 Could You Face A DUI Manslaughter or DUI Murder Charge? you knowingly acted with conscious disregard to those natural consequences. You do not have to have the intent to kill another person, but the state must prove that you acted with “implied malice,” that is, a conscious disregard for other human lives. In People v. Olivas (1985), a California appeals court distinguished the “malice” in a Watson second-degree murder case from the “gross negligence” required to convict a suspect of vehicular manslaughter. Second-degree murder requires a “conscious disregard for life” (“malice”) while manslaughter requires only a “conscious indifference to the consequences” (“gross negligence”). Obviously, you do not want to be convicted of DUI murder, DWI manslaughter, or even a misdemeanor first-offense DWI in California. If you are charged with DWI in Orange County, you’ll need legal help fast, so don’t wait. 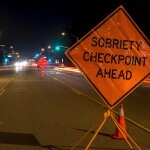 Contact an Orange County DUI attorney immediately.